Although buying a property may seem to be a daunting prospect especially for first time buyers, we are here to help. We have wide ranging experience in all aspects of property sales and always do our best to offer practical and helpful advice. Moscrops provide an online database of properties for sale which is regularly updated. Our search screen is easy to use and helps you to quickly find properties that may be of interest. Once you have identified a property that you are interested in you can then view more information or arrange to view the property. An Energy Performance Certificate or EPC is a guide made available to prospective purchasers when they look at a property. It gives the property an asset rating based on its energy efficiency. The EPC will show how efficiently a home uses energy and will give the property a rating from ‘A’ (most efficient) to ‘G’ (least efficient). The EPC will also make recommendations for how to improve the energy efficiency of the property. Q: What is the Selling Agent's role? In the UK the role of the Estate Agent is to act on behalf of the Vendor (the person selling the property) and to provide information to prospective purchasers. The Agent also helps prospective purchasers to find a suitable property by understanding their needs, providing property particulars and information and by arranging viewings for them. The Agent will also help to guide the Purchaser and Vendor through the sales process, perhaps assisting parties to understand survey reports, obtaining estimates for repairs and providing a gateway for other property related services. Q: What is the buying procedure? England, Wales and Scotland have varying methods of selling properties, but this information relates solely to Private Treaty sales in England and is only general information that will NOT apply in all circumstances. In England bids by Private Treaty (i.e. your offer) can be made verbally or in writing without a legally binding contract necessarily being entered into. Initially, it is usual for a prospective purchaser to make a formal offer through the Estate Agent. 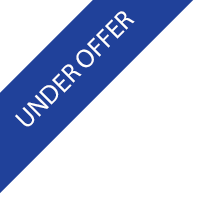 The Agent will then put the offer forward to the Vendor for consideration. Once an offer has been accepted by a Vendor both parties generally appoint a Solicitor or other Legal Representative to act on their behalf. Exchange of Contracts is the point at which the purchaser and Vendor become legally bound to proceed with the sale. At this point it is usual for the purchaser to pay a deposit (usually via their Solicitor or Legal Representative) and also to take on responsibility for insuring the property. Any works that may be required to the property e.g. for mortgage lending purposes are generally carried out between Exchange of Contracts and Completion of the sale. Completion follows Exchange of Contracts and is the process that literally 'completes' the sale, with the balance of monies transferred to the Vendor and the keys being made available to the purchaser. Completion may follow Exchange of Contracts by a matter of minutes or weeks depending on the individual circumstances surrounding the parties to the sale and the property itself. Tender: Submission of written offers or bids on a specified date. Auction: Competitive bidding in public with the highest bid being accepted on the fall of a hammer. Q: How do I fund my purchase? Prior to signing any contract to buy you must be certain that you have adequate funds to meet your deposit payment (usually paid on Exchange of Contracts), with the balance due on Completion of your purchase together with any Stamp Duty and the cost of your Legal/Professional advice or other fees. Funding is generally arranged via a mortgage with a Building Society or Bank. It may also be a good idea to see a regulated independent financial services advisor who will be able to offer information on the many different funding options available. You will be asked to provide proof of funds for your purchase together with proof of identity and proof of your residential home address in order to comply with money laundering regulations - for example, mortgage offer, recent Bank statement, valid passport, photo-card driving licence and a couple of recent utility bills (within the last 3 months).